Versatile Riding – New Chinks at Big Dee’s! 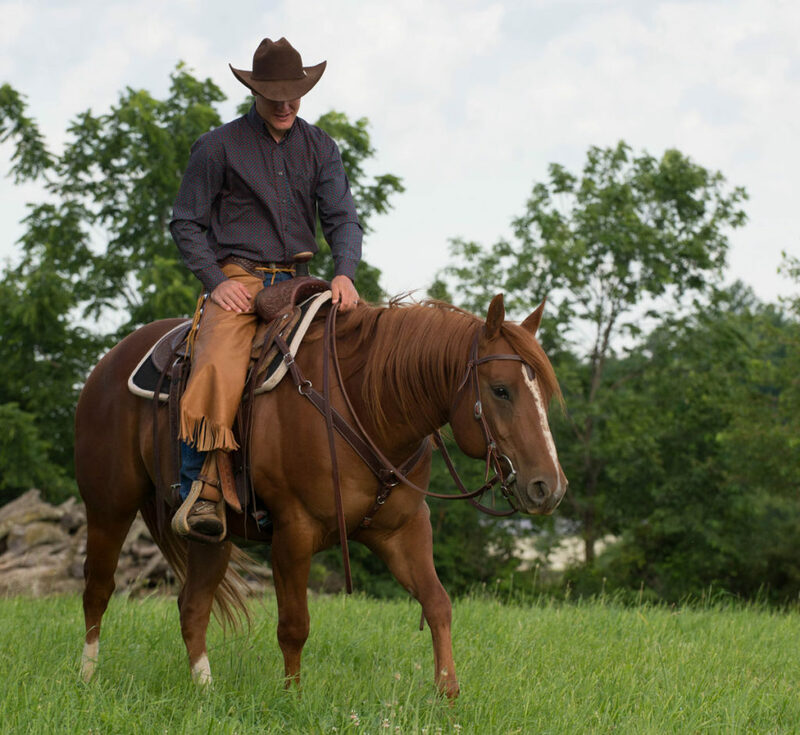 A surge of interest in the ranch styles of riding has also brought the need for more equestrian tack and apparel to be readily available for these needs. At Big Dee’s, we pride ourselves on listening to customer feedback – so we knew we needed to get quality chinks in, fast! We would like to introduce the New Weaver Leather Chinks, available in three sizes and two different colors! Both chaps and chinks are made from leather and protect the rider’s legs from brush, kicks, weather and other ranch dangers. So what’s the difference? Chaps run the full length of the rider’s legs, whereas chinks end just below the knee but above the ankle. Long chaps tend to catch on underbrush when riding the trail. While working on the ranch, chinks protect the thigh when roping and dragging cattle, logs or fence posts. They serve a working purpose and are simulated in the ranch horse trail and pleasure division. Chinks tend to have a large volume of fringe attached to the bottom of the leather. These are a go-to for having the similar protection of chaps, but with less bulk for ease of movement and breath-ability. But there is a distinction as Ranch riding classes are working classes so chinks should not be decorated with a lot of silver or excessive fringe like rodeo or trick riding apparel. 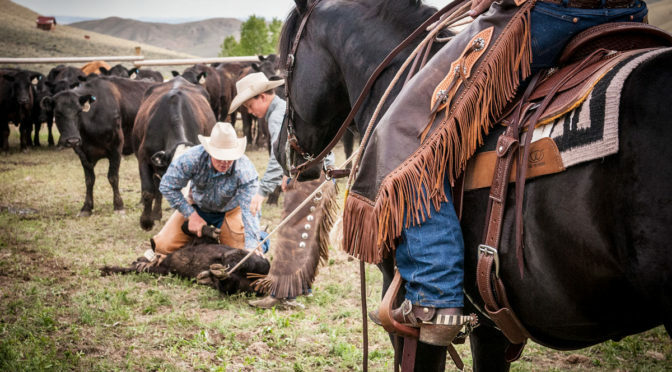 Think of ranch classes as ranch work meets trail, meets reining. This division is the fastest growing segment of our industry and combines elements of all these along with a natural, free-moving, alert horse. Emphasis is place on a working outfit from saddle to personal appointments. Chinks are definitely part of the ensemble. If you are out rounding up cattle you don’t want to be wearing bright or shiny clothing. Tall top boots with the pants tucked in are also favored. Be reserved with a square or round toe and use a 15inch shaft height. Detail in the overlay or stitching is appropriate. Chinks are not just limited to ranch horse classes. They are also becoming popular in other equine sports and riding including; Mounted Shooting, Trail Riding, Western Dressage and more! The two new chinks are sure to impress! We now carry a chocolate leather pull-up with contrasting basket weave accents and antique berry conchos. The second option is top grain natural colored with contrasting basket weave details. The quality and craftsmanship of both styles will not only hold up for every day use if desired, but also look stunning at a show!